Fourth Best Trail In The West! Meander along the Provo River in Utah Lake State Park to the mouth of Provo Canyon on this path that picks up a slight gradual incline. Some short, steep climbs make it challenging at times, but its well-worth it. The reward: Bridal Veil Falls. The rushing water, which drops 600+ feet through a double cascade, is the perfect escape. I would place a bet that with our almost complete master plan Provo, in the near future, will be able to lay claim to fourth best place (or better) to bike in the Nation. That is if you and me keep getting out there and pedaling. Speaking of which it is a great day I am headed out for a ride. See you out there. 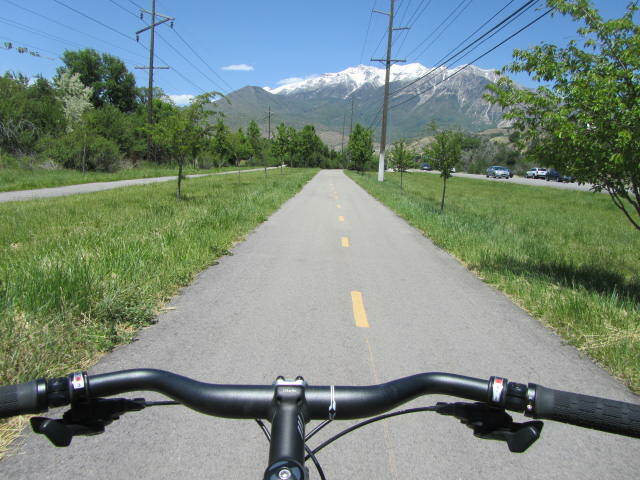 This entry was posted in Bike Paths, Bikes in the News, Provo River Trail by Zac. Bookmark the permalink.